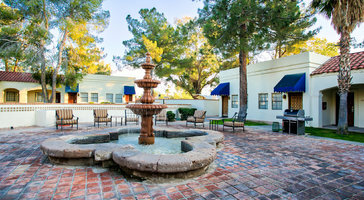 Metro Phoenix (which includes the suburbs of Scottsdale and Tempe) is known as the Valley of the Sun for its perennially sunny days and gorgeous weather. 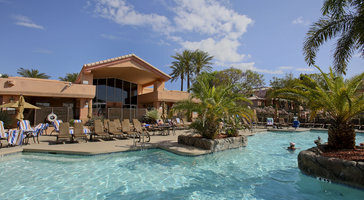 Naturally, many people like to spend their vacations in this beautiful desert locale. 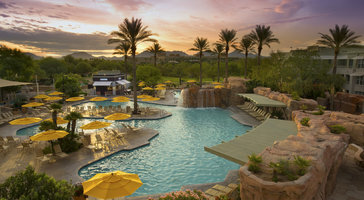 As you begin your online search for Phoenix resorts and Scottsdale resorts, you'll discover that Vacatia offers some of the best listings and customer service on the web. 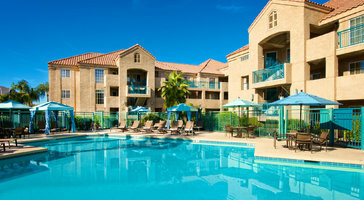 In addition to the resorts, we have a number of the Phoenix and Scottsdale vacation rentals that many travelers like. 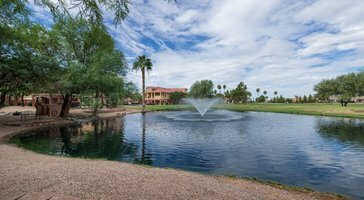 Our Phoenix vacation rentals are all highly recommended, and our online representatives are always available to answer your questions. 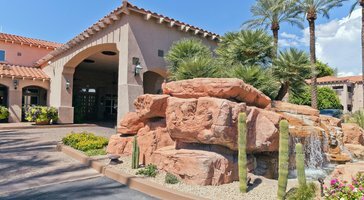 Whether you want a high-end resort or a cozy condo rental by owner, Vacatia will meet all of your Phoenix and Scottsdale accommodation needs. Whether you are in search Scottsdale condo rentals or Phoenix resorts, you don't want to waste time sorting through types of accommodation that you're not interested in. 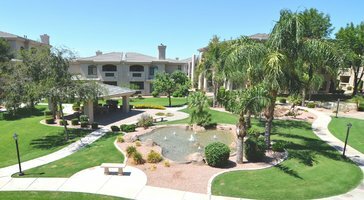 With Vacatia, you will only find the Phoenix condo rentals, vacation rentals, and resorts that have top ratings. 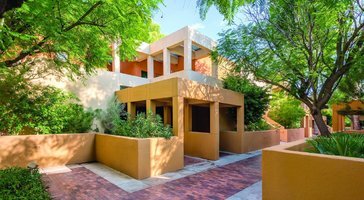 Picture luxuriating in your own space in an exciting resort, and you're picturing one of our resort residences. 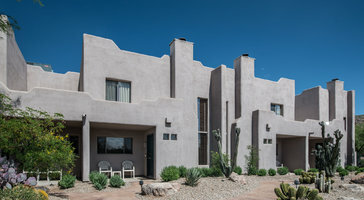 You can come home after all your Phoenix and Scottsdale adventures to a roomy living space. Save some money on restaurants by cooking your own meals in a gourmet kitchen. 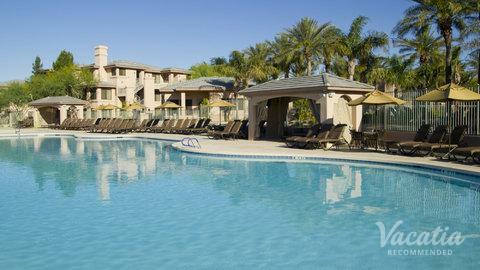 Many of these rentals come with a washer and dryer, allowing you to keep everything fresh and pack a bit less. 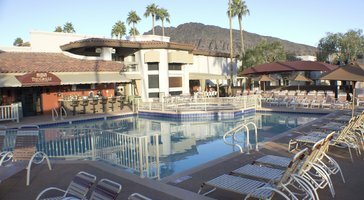 Staying at a resort allows the convenience of housekeeping, 24-hour check in, and instant booking. 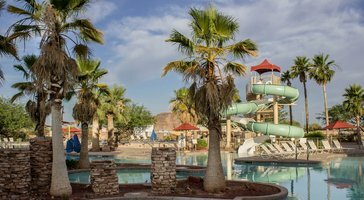 You'll also be able to enjoy delicious restaurants, relaxing spas, water playgrounds, and mega pools. 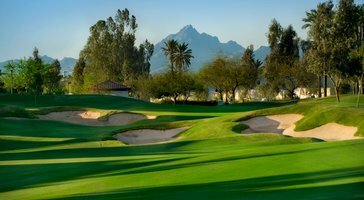 While many make their way to Phoenix and Scottsdale for the weather and the golf, the Valley of the Sun is also home to outdoor activities, shopping, and nightlife. 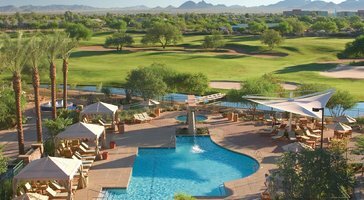 The East Valley and Scottsdale contain the best of this last option with high-end wine bars, old-time saloons, and hot dance clubs. The Valley rests on the Sonoran Desert's northern tip, and this prehistoric seabed runs all the way to northwestern Mexico. Its landscape offers a lot more than cacti. Mesquite and palo verde trees, agave, brittlebush, and creosote bushes are scattered throughout the land, which is scorched by 100-degree temperatures for weeks in the summer. Late in the season, precious rain arrives in monsoons that light up the sky and conjure up the beguiling smell of creosote. In the spring, the Valley starts to bloom. For a brief period in May, giant saguaros burst into crowns of white flowers, while bunches of colorful wildflowers cover mountain landscapes and fill the desert's crevices. 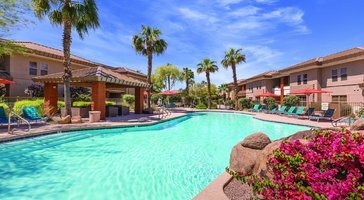 Phoenix and Scottsdale has so much urban excitement and natural splendor to be enjoyed that you will be glad to relax in one of our Phoenix condo rentals at the end of the day.